When it comes to all things marine; from harnessing its energy, leading the fight against the global plastic scourge strangling our oceans to fishing, marine science and robot boats, Cornwall is definitely a world leader. 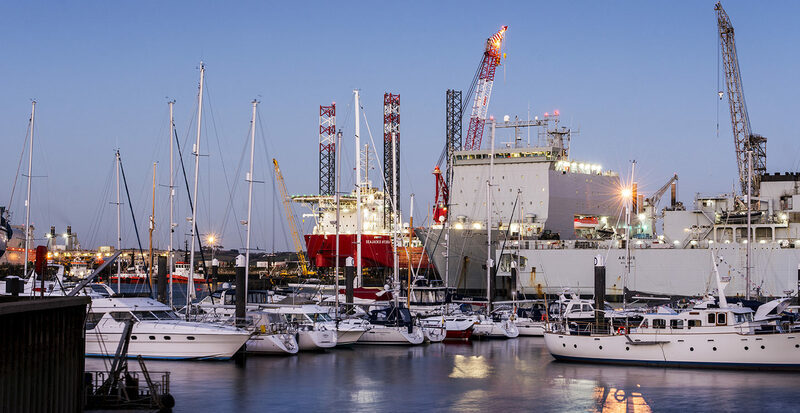 The Duchy’s strong maritime heritage, new technologies, plenty of can-do attitude and engineering talents, are helping the region’s marine technology businesses thrive. Matt Hodson, Marine Hub Operations Director, said the marine tech industry is vast. There are already over 800 marine companies identifying as working in the sector in Cornwall. It encompasses everything from hydrographic engineers to offshore wind farm designers & maintenance experts, through to ship building and repair at Pendennis Superyachts, and A&P, based at Falmouth Docks, the inventors of autonomous robot boats. “It goes back to the days when our ports and harbours grew as we exported our goods such as China clay and imported coal to keep it all going. Geographically, Cornwall is strategically placed. We are extremely well located. We are right in the middle at the confluence of shipping lanes going up the Channel, coming from North America, Africa and down the Irish Sea. That’s why ports like Falmouth exist.” Mr Hodson believes Cornwall’s heritage, as well as the perfect work-life balance it offers, all combine to make it a thriving place for innovation and creativity. Ocean Hydraulics in Redruth is the first business to receive grant funding through the newly launched Rapid Innovation Grant scheme from Marine-i. Freelance engineer Mike Curnow has traded as Ocean Hydraulics since 2003. He has engineered a wide number of innovative products for the offshore sub-seabed site investigation and construction industries, both in the UK and overseas. Mike has now identified an opportunity in the global offshore renewables market – a new way of anchoring sea bed foundation piles – which has received grant funding via the Rapid Innovation Grants scheme. He believes the alternative drilling method is expected to bring benefits in safety and stability as well as be more cost-effective to implement. In order to take his project to the next level, Mike needed to produce an animated video to present the concept. Find out more about what Cornwall can offer your marine business here. To read the full, original article visit Cornwall Live.